Eva Gore-Booth, the daughter of Sir Henry Gore-Booth, was born at Lissadell House, County Sligo, Ireland on 22nd May, 1870. Gore-Booth, always attempted to act as a good landlord and provided free food for his tenants during the 1879-80 famine. It was probably the example of Gore-Booth that help develop in his two daughters, Eva and Constance Gore-Booth, a deep concern for the poor. According to her biographer, Gifford Lewis, Eva Gore-Booth was "studious and introspective, she was quite different from her flamboyant and more robust elder sister Constance... in appearance she was willowy and frail, and she attracted attention with her fair hair and eager expression". Eva suffered from poor health and in 1896 she travelled to Italy where she met Esther Roper. Her biographer, Margaret M. Jensen, argues that they "became immediate and lifelong companions". Roper was very interested in the subject of women's suffrage and was secretary of the Manchester National Society for Women's Suffrage. In this role she tried to recruit working-class women from the emerging trade union movement. 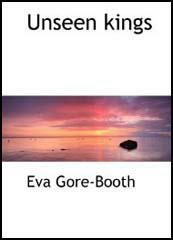 The author of Eva Gore-Booth and Esther Roper (1998) has argued: "For the first time Eva was able to talk to a kindred spirit. Captivated by the woman and her cause, she impulsively decided to leave Ireland and join Esther in the suffrage cause in Manchester." In 1897 Eva moved into Esther's home in Manchester. At first under Esther's influence she devoted herself to trade unionism and women's suffrage, but later became involved in adult education for women and working with the Manchester University Settlement. In 1901, Christabel Pankhurst, who was at that time a student at Manchester University, joined their trade union campaign. She also met her mother, Emmeline Pankhurst, who was a member of the the Manchester branch of the NUWSS. Sylvia Pankhurst also got to know Eva during this period. Later she was to say: "Eva Gore-Booth had a personality of great charm... Christabel adored her, and when Eva suffered from neuralgia, as often happened, would sit with her for hours massaging her head. To all of us at home this seemed remarkable indeed, for Christabel had never been willing to act the nurse to any other human being." Fran Abrams the author of Freedom's Cause: Lives of the Suffragettes (2003), has argued that: "Christabel Pankhurst had formed a close friendship with Esther Roper and Eva Gore-Booth, suffrage campaigners who lived together in Manchester. Her relationship with Eva, in particular, had become intense enough to excite a great deal of comment from her family - according to Sylvia Pankhurst." In 1903 Eva and Esther established the Lancashire and Cheshire Women's Textile and Other Workers Representation Committee. That year they also they organized a suffrage petition with 30,000 signatures. Eva also co-edited the Women's Labour News, a quarterly journal aimed at uniting women workers. She was also active in the socialist group, the Independent Labour Party. Emmeline Pankhurst, with the help of her three daughters,Christabel Pankhurst, Sylvia Pankhurst and Adela Pankhurst, formed the Women's Social and Political Union (WSPU) in 1903. At first the main aim of the organisation was to recruit more working class women into the struggle for the vote and therefore initially received the support of Esther and Eva. However, she later disapproved of their use of violence. Eva Gore-Booth published a volumes of poetry, Unseen Kings in 1904. She continued to be interested in the struggle for women's rights and in the 1908 joined her sister, Constance Markievicz, and other suffragettes, including Annie Kenney, May Billinghurst and Adela Pankhurst, in the campaign against Winston Churchill in the parliamentary election in Manchester North West. In 1913 Eva and Esther Roper moved to London. Two days after the British government declared war on Germany on 4th August 1914, the NUWSS declared that it was suspending all political activity until the conflict was over. Although its leader, Millicent Fawcett, supported the First World War effort she did not follow the WSPU strategy of becoming involved in persuading young men to join the armed forces. Eva and Esther were both pacifists and disagreed with this strategy. Despite pressure from the majority of members, who held similiar views to Eva, Fawcett refused to argue against the war. Her biographer, Ray Strachey, argued: "She stood like a rock in their path, opposing herself with all the great weight of her personal popularity and prestige to their use of the machinery and name of the union." In 1914 they joined the No-Conscription Fellowship, an organisation formed by Clifford Allen and Fenner Brockway. The NCF required its members to "refuse from conscientious motives to bear arms because they consider human life to be sacred." As Martin Ceadel, the author of Pacifism in Britain 1914-1945 (1980) has pointed out: "Though limiting itself to campaigning against conscription, the N.C.F. 's basis was explicitly pacifist rather than merely voluntarist.... In particular, it proved an efficient information and welfare service for all objectors; although its unresolved internal division over whether its function was to ensure respect for the pacifist conscience or to combat conscription by any means"
Eva and Esther resigned from the NUWSS over the issue of the First World War and helped establish the Women's Peace Crusade. Other members included Charlotte Despard, Selina Cooper, Margaret Bondfield, Ethel Snowden, Katherine Glasier, Helen Crawfurd, Teresa Billington-Greig, Elizabeth How-Martyn, Dora Marsden, Helena Normanton, Margaret Nevinson, Hanna Sheehy-Skeffington and Mary Barbour. In 1916 she published another volume of poetry, Death of Fionavar (1916). Eva was also a member of a group that opposed gender stereotyping and helped publish its journal Urania. She was the leading figure who organised the successful reprieve of the death sentence passed on her sister Constance Markievicz following the Easter Rising. Eva Gore-Booth died of cancer in Hampstead on 30th June, 1926. Esther Roper was at her bedside and remarked: "At the end she looked up with that exquisite smile that always lighted up her face when she saw one she loved, then closed her eyes and was at peace." Gore-Booth was buried in St John's Churchyard. Her sister, Constance Markievicz, did not attend the funeral, saying she "simply could not face it all." 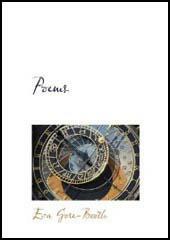 After her death Roper edited and introduced The Poems of Eva Gore-Booth (1929). Eva Gore-Booth had a personality of great charm... Christabel adored her, and when Eva suffered from neuralgia, as often happened, would sit with her for hours massaging her head. To all of us at home this seemed remarkable indeed, for Christabel had never been willing to act the nurse to any other human being. Eva Gore-Booth's sensitive and loving nature made her a perfect friend. No words of mine could ever tell the beauty of her friendship, but I can say of it truly, "Love never faileth". Through the years of difficult and trying work, through periods of terrible strain and grief, through ever-recurring times of intense pain, this was true. To the hard work which we did together for thirty years she brought a spirit of adventure and gaiety which nothing daunted. Of a gallant courage and a gentle courtesy she made life together a gracious thing. Even simple everyday pleasures when shared with her became touched with magic - wandering through the woods of her old home, or seeking the "blue gentians and frail columbines" of a Swiss mountain, or finding "beauty and life and light" in Italy. At the end she looked up with that exquisite smile that always lighted up her face when she saw one she loved, then closed her eyes and was at peace.